The Institute for Energy Security (IES) has indicated that if government does not take any action to address recent developments in the energy sector, fuel prices could go up by three per cent at the pumps within the second pricing window. According to the institute “the challenges facing oil importers in discharging and loading their cargos could further heighten the fears of fuel shortage in the country”. This is contrary to an earlier prediction by the Chamber of Petroleum Consumers Ghana (COPECGH) that within the second pricing window by the National Petroleum Authority (NPA), fuel is expected to remain stable and will not see significant increments. The biweekly pricing programme commences from the 16th of February and COPECGH said in a statement on Wednesday, February 15 that their checks indicate “fuel prices are likely to remain stable due to strong competition and high efficiency in pricing by some Bulk Distribution Companies (BDCs) and the biggest oil marketing company – Goil – who have refused to increase prices over the February windows though the cedi continues to lose value, leaving some pressure on importers”. However, IES believes their projections point to an upward review. Local Fuel Market Trading activities on the local fuel market for February 2017 first Pricing-window witness some form of fuel price stability after three successive windows of price increment. Within the period, Frimps Oil was spotted as the Oil Marketing Company (OMC) selling the cheapest fuel on the market in relation to Gasoline (Petrol) and Gasoil (Diesel). And at the close of the period under review the average price of Gasoline and Gasoil was Ghs4.07 ($0.94) per litre and Ghs4.02 ($0.93) per litre respectively, compared to the average pump prices of Gasoline ($1.02) and Gasoil ($0.90) around the world. World Oil Market Prices Over the last fifteen days the average Brent crude price rose from $55.20 per barrel to $55.90 per barrel, an increase of 1.25% following reports of OPEC producers fulfilling their pledge to hold back production in January in order to recoup some of their recent losses. Within the same period the Platts benchmark prices for Gasoline and Gasoil rose by 1.08% and 1.70% respectively. This left Gasoline and Gasoil prices on the world market closing at $563.27 per metric tonne and $484.14 per metric tonne respectively, from an opening of $557.23 per metric tonne for Gasoline and $476.07 per metric tonne for Gasoil. Local Forex and Fuel Stock Data from the Bank of Ghana indicates that the Ghana Cedi lost substantially against the U.S. Dollar over the first window by 1.47%. Also the combined stock of Gasoline and Gasoil in-tank dropped from 132,450 metric tonnes to 117,900 metric tonnes, over the same period. This quantity of fuel is able to meet less than 16-days of fuel supplies in the country. Of the two products, Gasoline is at the most critical level. And although 51,000 metric tonnes of Gasoil and 35,000 metric tonnes of Gasoline could be counted offshore on vessels, discharge constraints still remains a challenge. 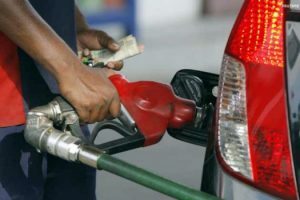 Following the substantial loss of the Cedi to the Dollar, the up to 1.70% increase in the prices of Gasoline and Gasoil on the global market, the 1.25% rise in Brent crude price, and the low fuel stock levels of both Gasoline and Gasoil in the country; the Institute for Energy Security (IES) can project prices of fuel on the local market to rise up to 3% in the new window, barring any government intervention. Also the challenges facing oil importers in discharging and loading their cargoes could further heighten the fears of fuel shortage in the country.